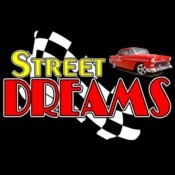 Welcome to Street Dreams in Texas as we celebrate our 19th year in the classic and muscle car business. We are proud to offer this fine 1970 and a 1/2 Pontiac Trans-Am. We just took in this pristine automobile on trade from one of our established customers. It has Ram Air III power and an automatic transmission. A super nice car! We will have more information for you soon. If you have interest do not hesitate to give us a call or shoot us an e-mail. Street Dreams is a full service dealership all on our website and offer great financing rates, low costs insurance rates, and world-wide shipping.